11x17, xiii + 235 pp. Charles Villiers Stanford wrote two cycles of songs for baritone with orchestra and chorus, setting nautical verses by the popular poet Henry Newbolt. From its premiere at the Leeds Musical Festival in October 1904, Songs of the Sea was a great success; Songs of the Fleet followed in 1910 and was transparently modeled on it (even quoting from the earlier work). Both works became very popular among amateur choral societies. 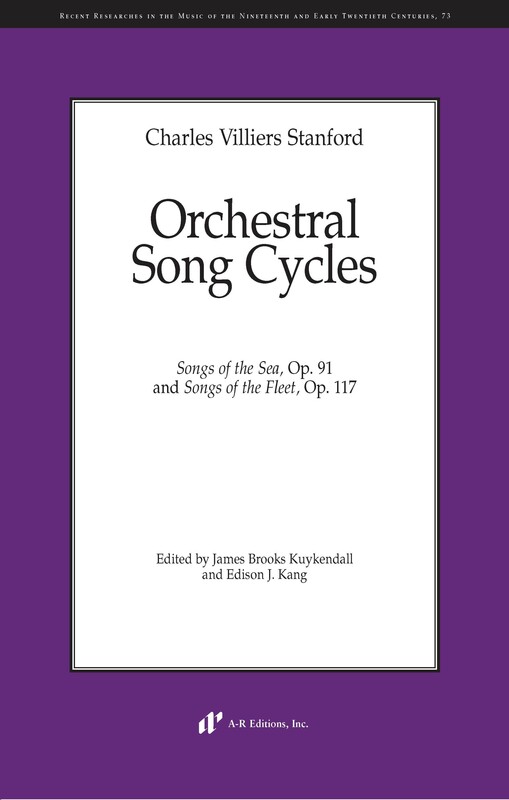 Songs of the Sea was published in full score a year after its composition; it now appears in a critical edition for the first time in the present volume, which also includes the first publication of the orchestral version of Songs of the Fleet. Both works demonstrate Stanford’s mastery of orchestral technique and sureness of touch. Newbolt’s texts alternate between heroic and sentimental moods; Stanford responded with music that is dramatic and atmospheric—indeed, with some of the most remarkable textures of his whole oeuvre.